Established over twenty years ago, Mesh is a British manufacturer that builds a broad variety of laptops to cater for all budgets and requirements. The Edge DX11-R features high-end components and provides total power for those after serious performance – and all at an impressively competitive price. While we were a little disappointed to see the Core i5-powered Sony VAIO VPCEC2SOE/WI nearly beat this Core i7-powered machine, if you're after a laptop competent enough to run even the most resource-intensive programs, the Mesh will do the job with ease. You can breeze through your office work and even the most resource-heavy multimedia applications will prove no problem. 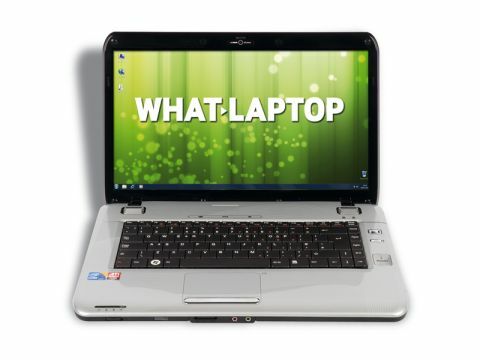 This is one of the first laptops to carry a graphics card supporting Microsoft's DirectX 11 technology. Coming from ATi's latest range, extensive testing found that although performance looks similar to the Acer Aspire 8935G-904G1TBwn, this laptop in fact provides the most graphical power in this group test. While the capacious 500GB hard drive provides ample storage space, the lack of a Blu-ray drive is a slight surprise at this price. It's a shame you won't be able to watch high-definition Blu-ray films, as the Mesh's 15.6-inch screen is truly fantastic. The Full HD 1920 x 1080-pixel resolution produces the best images in this group, even beating the Sony's, although on a smaller scale. Pictures are incredibly detailed, while colour vibrancy is second to none, with contrast also impressing. The result is that photos, movies and games look fantastic. Also, despite the use of a glossy Super-TFT screen coating, reflections are minimal, making this laptop easy to use in all light conditions. Unfortunately, the keyboard is both cramped and noisy to use. It's not a serious issue, but those after a truly comfortable typing action should consider the Sony VAIO VPC-EC2SOE/WI. While the Mesh does not feature the most attractive design here – that honour goes to the Apple MacBook – it is functional enough and will provide good usability on the road. The tough plastics employed are also surprisingly difficult to mark and don't show dust and dirt as easily as the Apple. Battery life isn't too bad considering the very powerful components on board, and at only 2.8kg this is one of the more portable machines – handy if you do plan to travel regularly with the machine. It may not be the prettiest machine, but there's no denying the value for money on offer from the Edge DX11-R. Intel Core i7 power and the latest graphics technology give you a lot of horsepower to play with, and if you want to run resource-intensive applications, this is certainly the machine for you.